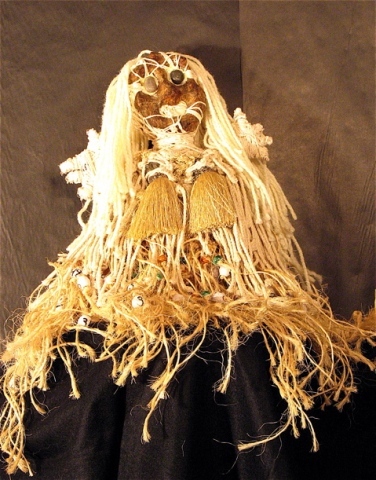 Made of cloth, yarns, twines, beads and amulets with a glazed papier-mache face and inset stone eyes. A shamanic fetish-figure. Magically charged and intended to be used as a magical tool.